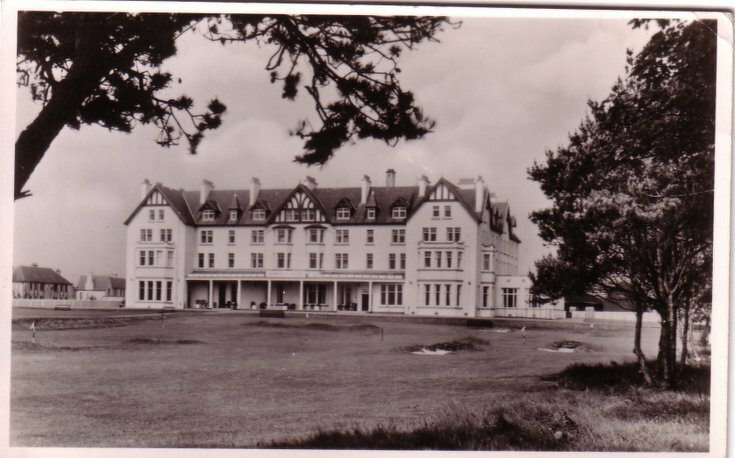 Monochrome photograph of the Dornoch Hotel from the Basil Hellier postcard collection. This photograph shows the introduction of a small golf course on the right hand lawn in front of the hotel, complete with mini bunkers. The reverse bears an address in Lanarkshire and a Queen Elizabeth II brown 2d stamp with Dornoch postmark. The year is illegible.